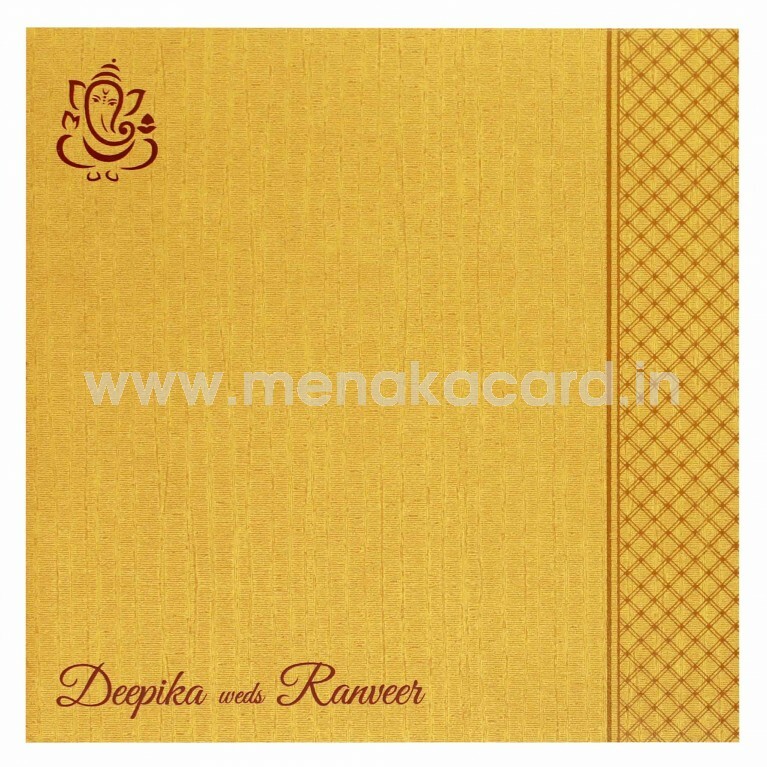 This dark cream card is a door folding card that oozes refined simplicity and is made from a texture printed shimmer board that has an arched flap on the front. 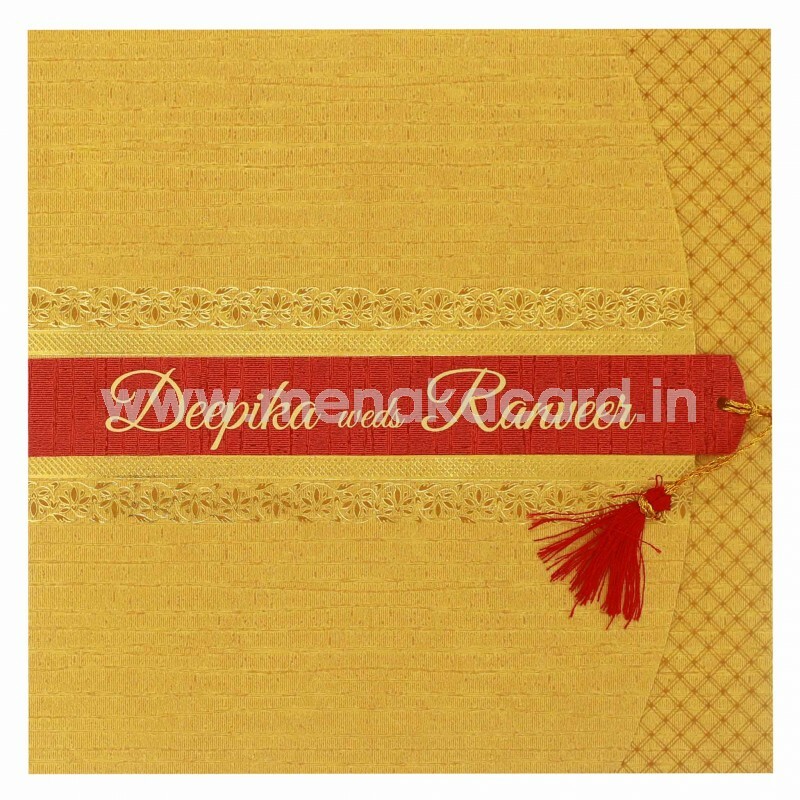 There is a red strip made from the same material as the card in red, flanked by a floral filigree border in gold foil on both sides, housing the names of the couple in gold foil as well. 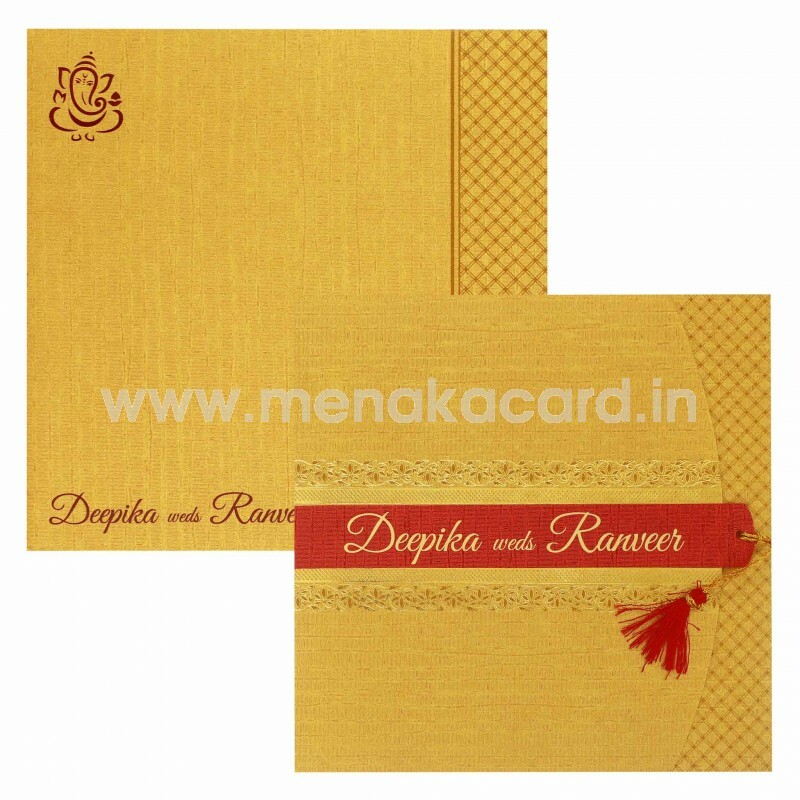 The lower flap has a latticed pattern printed on it in brown ink and contains the inserts of the card printed in maroon ink, made from the same material as the card. The envelope matches the card in color and design. 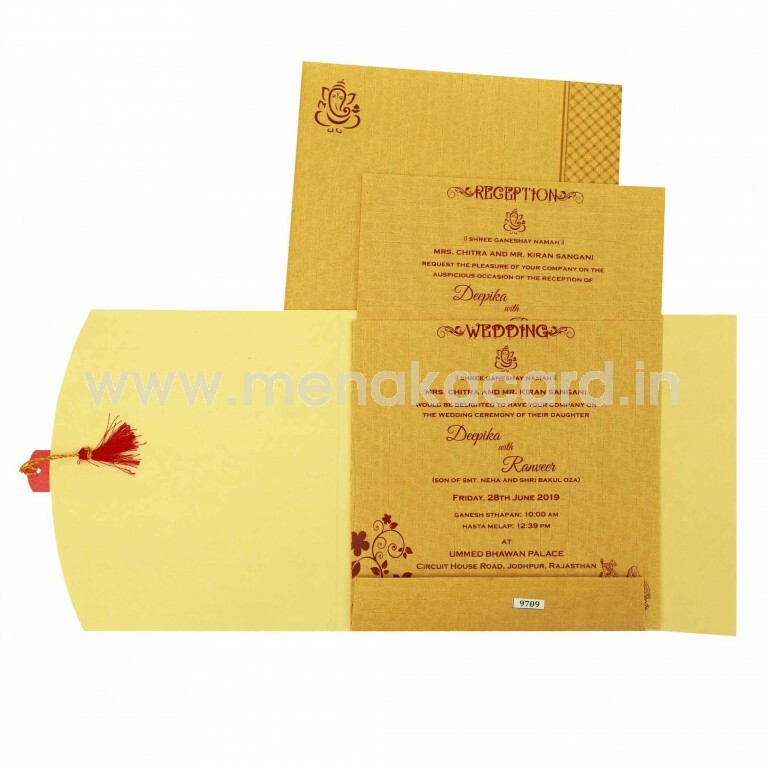 This can be used for Hindu, Christian and Muslim weddings as well as engagements and receptions.